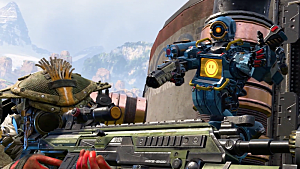 Apex Legends isn’t your typical battle royale shooter. 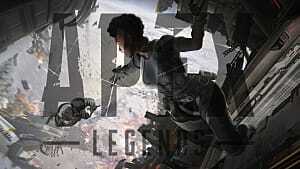 Sure, it has a lot of familiar elements seen in other titles, but the game’s polish and some of its unique qualities help it to stand out in an increasingly crowded market. 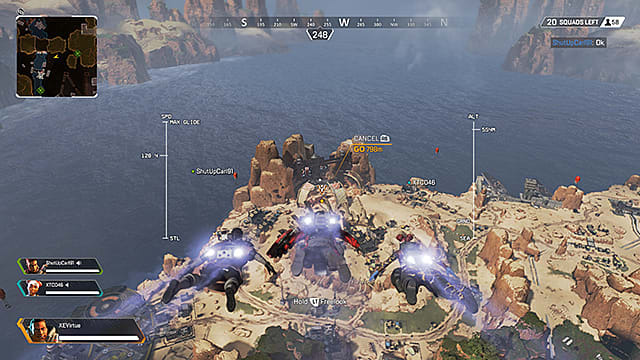 Even the most common aspect — players dropping onto a map from a ship — is different thanks to some interesting gameplay mechanics. 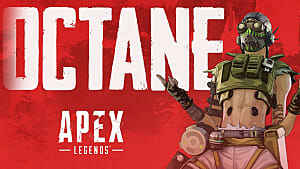 There is a science to landing in Kings Canyon, the game’s map. Landing in the right spot can certainly give a team an advantage over the rest of the field. 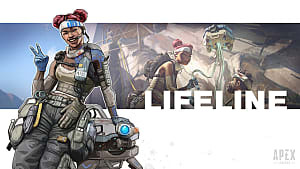 Because of this, we decided to provide some tips to help players survive the early portions of a match in Apex Legends. The first thing you’ll need to learn is how to dive correctly. And by correct, I mean in a fashion that allows you to reach destinations before your rivals. When diving from the ship, most players will make a beeline to whatever point they’re trying to hit. What they should do, however, is learn everything there is to know about terminal velocity. But since that's overly complicated, they could also just learn to adjust the angle of their decent when in the air. For a better picture of this gliding and landing method, check out TheBigSm0ke’s Reddit post on the subject. The thing that makes this technique great isn’t so much the speed of your descent. It’s that doing this will allow you to jump sooner; a lot of people wait until they are close to a place before jumping out of the ship. In this case, you’ll be able to jump much sooner and still hit a destination that’s far off. And because you jumped before everyone else, you’ll land before them. 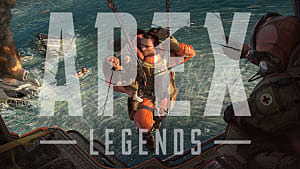 The next things to make note of are Apex Legend’s Hot Zones and Supply Ship. 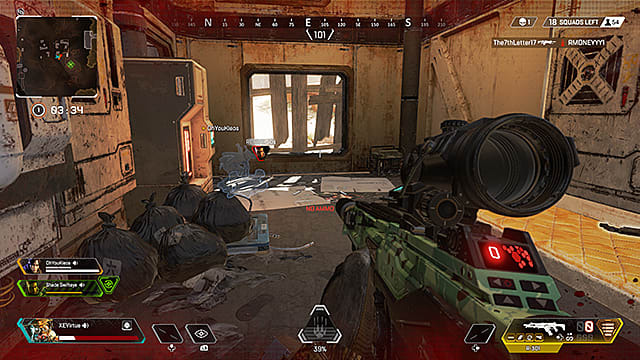 Hot zones are places marked with a blue circle on the map — and a blue light emanating from the spot on the ground — where players have a greater chance of finding high-tier loot. The Supply Ship, on the other hand, is a ship carrying mid- to high-tier loot that flies for a short time at the beginning of a match before landing over an area. Both are usually highly contested places for players to land. 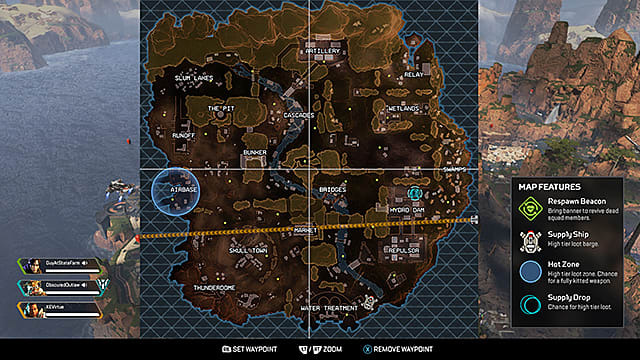 These are the places to land if you’re looking to quickly grab some good loot. They aren’t the places to go to though if you’re trying to avoid an early shootout. 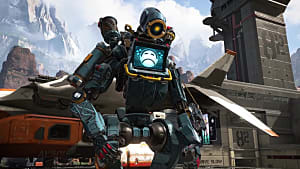 Players will be fighting tooth and nail to grab a Level 3 body armor or that Peacekeeper with all of the fixings. Basically, the risk of dying early on is there. That said, if you make it out of these zones with some good loot, you’re that much closer to becoming a Champion. If the Hot Zones are a little too hot for your tastes, though, there are other places worth landing at. This area of the map usually has decent loot. 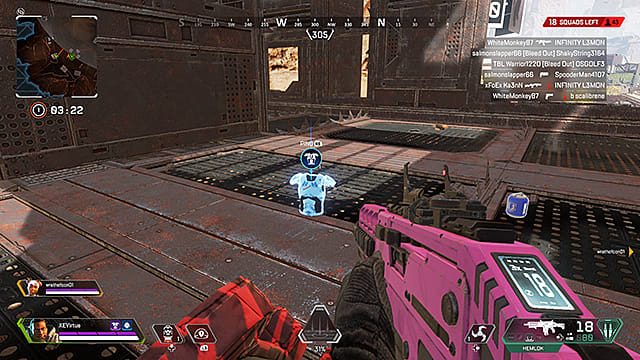 I’m talking a few Level 3 chest armors, some helmets, a bunch of weapons, and some health kits, all of which are located in a few places — the area that looks like a stage, the floating platform above it, and a few cage-like structures. Their spacings allow for players to grab something and flee, or engage in close- to mid-range combat if need be. Typically though, the Thunderdome isn’t the hottest of spots in terms of foot traffic, so landing here is a good option. Skull Town is a great place to land. It has mid- to high-tier loot, though I was able to find a few legendary weapons there. It also has a bunch of places to run to if you need to hide. A lot of people drop here, though, so don’t be surprised if you run into a rival squad. 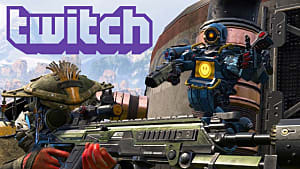 Hopefully, you’ll have snagged some weapons before then. The Market is a large area that’s more or less packed with good items. 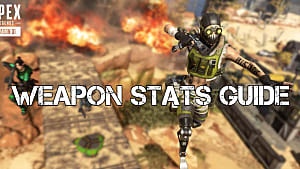 It doesn’t have as much high-tier loot as the Thunderdome, but it does have enough good loot to arm an entire squad with multiple weapons, attachments, health kits, and more. The Market also sports multiple entrances and exits, allowing you to easily sneak up and ambush anyone who lands there before you do. Of course, the reverse is true as well. The Airbase has decent loot as well. It is a bit spacious, though; getting shot from the other side of the base is common. This is especially true when ziplining between its two ports. That said, there is always good loot here. There are multiple loot stashes, two docked ships, and buildings leading to the dam that are filled with weapons and other precious loot. The Pit has mid, high, and sometimes legendary loot; it’s the only place I’ve found gold armor and helmets multiple times in a row. That’s not to say that The Pit will always have great items. More likely than not, though, there will be something worth picking up. And considering most teams avoid this area (for the more contested places on the map), it’s usually safe-ish. 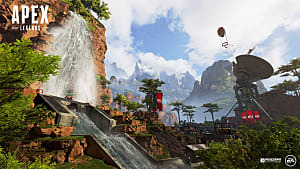 These are some of the best places to land in Apex Legends, not just because these landing zones have great loot but also because they aren’t the most contested zones on the map. These spots are the places I go to when I want a high-tier item but not the fight that usually accompanies acquiring it. There are other areas on the map that may or may not hold better gear. Even so, low-tier places might old something legendary, so its always worth checking out less contested areas. They’re also places that pose more of a risk. If you’re throwing caution to the wind, though, then you’re better off going to the circled areas or Supply Ship. At least with those two, you're guaranteed to find something you like. And if you use our drop method outlined above, there's a chance you'll get to the loot faster than any other player.